Absolutely charming home!! This house has been tastefully updated. The first floor is open and light. Perfect for entertaining and relaxing. There's wood floors in the living area and the two first floor bedrooms. The kitchen has tile floors, granite countertops and stainless appliances. The updated first floor bathroom has a claw foot tub, tile floors and a pedestal sink. The large master suite, located on the second floor has updated lighting, a tiled walk-in shower and a matching tile floor. There's a basement, fenced yard and a 2 car garage. The roof and HVAC were replaced in 2009. The back yard has recently been landscaped and includes a firepit, a play area and places to sit and relax. 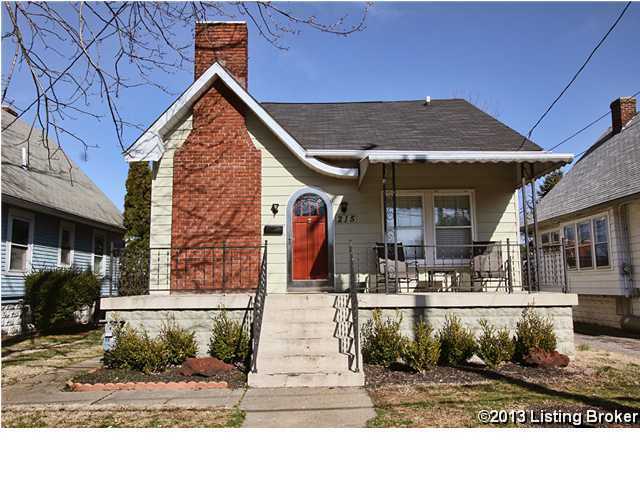 This home is located close to Seneca Park, entertainment, shopping and restaurants. 215 Cornell Plc, Louisville KY 40207 is a Home, with 3 bedrooms which is recently sold, it has 1,620 sqft, 0 sized lot, and 2 Car Garage,Detached parking. A comparable Home, has 4 bedrooms and 2.5 baths, it was built in and is located at 3317 Nanz Ave Louisville KY 40207 and for sale by its owner at $ 314,900. This home is located in the city of Louisville , in zip code 40207, this Jefferson County Home, it is in the NONE Subdivision, and St Matthews are nearby neighborhoods.